The latest martech and adtech news from Oracle, Adobe, Teradata, dotmailer, Zegami, Integral Ad Science, SaleCycle, AWeber, Captiv8 and MediaMath. Oracle has announced a raft of updates and integration enhancements to its Marketing Cloud offering, all better uniting marketing activities with audience data. The vendor has introduced new account-based marketing (ABM) capabilities into its Marketing Cloud to tap into rising demand from B2B marketers. These are aimed at enabling marketers to optimise targeting on paid media, more effectively engage target prospects and simplify data management and integration. On the list is what Oracle claims is one of the industry’s largest sets of curated B2B account audience data for targeting on paid media, made possible through an integration of Marketing Cloud and Data Cloud. The latter has data on more than 1 million US companies and 60 million anonymous business profiles. Oracle is also providing account-based messaging by allowing marketers to append account data, including scoring and nurturing information, to new and existing leads. This is made possible by integrations with Demandbase’s technology as well as that of app partners, and available directly through Oracle Eloqua. Other new additions to the Oracle Marketing Cloud are designed to help marketers use differentiated audience data for targeting on paid media, for cross-channel interactions and in customer experience management. This has been achieved through direct integrations between Oracle Maxymiser and Oracle Responsys applications. In addition, Oracle Maxymiser has been fully integrated with the Oracle Data Management Platform, allowing users to tap into first-, second- and third-party data for audience testing and optimisation initiatives. New integrations have also been made between the Oracle Data Cloud and Marketing Cloud’s Data Management Platform. By leveraging the Data Cloud’s enhanced modelling solution, the vendor said integration gives marketers the ability to model their online audiences based on critical offline data, such as in-store purchase transactions. A second integration gives customers access to Oracle Data Cloud's AddThis Audience Discovery tool, which helps marketers target specific audiences with paid media campaigns. The solution uses natural language processing to look at keywords on billions of Web pages across the Web and translates these into audience data based on the online behaviours of two billion unique users. In addition, Oracle Marketing Cloud now offers advanced data visualisation and investigation tools for insights into performance across different channels, as well as a new graphical audience segmentation feature aimed at B2C marketers. Teradata has sold off its Marketing Applications business to private equity firm, Marlin Equity Partners, for US$90 million. The news comes five months after the vendor announced its intention to offload the business in order to put the emphasis back on its core data analytics offering. The deal with the private equity firm includes its digital marketing and marketing resource management platforms. However, the low sale price surprised many in the industry. Full details of the sale, including commentary from the market on its implications, can be found here. Adobe has unveiled the first integration between its e-signature based offering, Adobe Sign, and Adobe Marketing Cloud. It’s designed to eliminate the need for manual, paper-based process for enrolment, onboarding and servicing across the customer journey. Adobe Sign (formerly Document Cloud eSign services) now features an upgraded mobile app experience, and has been integrated with Adobe Experience Manager (AEM) Forms – one of several platforms sitting within the Adobe Marketing Cloud – to make signature-based documents digital, such as credit card applications and medical forms. According to the vendor, the integration between Adobe Sign and Experience Manager Forms turns form-based processes into mobile-optimised digital experiences, from a person discovering the right form that they need, to filling it out, electronically signing it, and getting status updates once it is submitted. Adobe has also introduced new Document Cloud storage integrations with Box and Microsoft OneDrive, to make it easier to access and work on PDF files from anywhere, as well as new features for Adobe Acrobat DC subscribers. 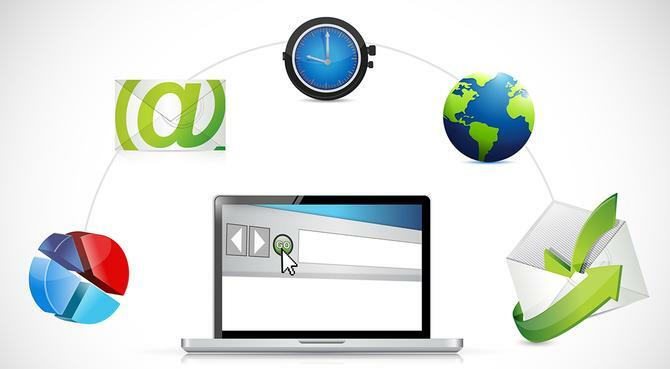 Email marketing automation vendor, dotmailer, has struck a partnership with Engage Digital to bring its full suite of solutions to the Australian market. Engage Digital is part of the MicroChannel company. “To partner with dotmailer was an obvious choice - its ease-of-use and ease-of-integration is in complete alignment with our strategy to provide customers with best-of-breed in marketing automation,” said Engage Digital’s managing partner, Antony Dutton. UK-based dotmailer currently has 70,000 users across 150 companies including BBC Worldwide, DHL, Fujifilm and World Duty Free. “We are pleased to have the opportunity to work with Engage Digital and help the company to better respond to customers’ different needs,” added Rohan Lock, dotmailer’s reginal director for APAC. Zegami, a new company that provides discovery and filtering tools for image, movie or 3D object searching, has been spun out of the University of Oxford and will be based in Australia. Zegami brings millions of pieces of information together from multiple data sources and combine them into one user interface. The data discovery software is aimed at slashing organisational and research costs and saving hours spent on search through its combination of image tagging, map views and business intelligence capabilities, along with the ability to plugin machine learning and image-based analysis. It was founded in 2015 by Samuel Conway (AUS), Roger Noble (AUS), Stephen Taylor (UK) and Oxford University following the success of the first part of the solution, which was developed through the university and Adelaide consulting business, Coritsu Group. The new entity attracted £500,000 in seed funding from investors including Parkwalk Advisors and Oxford Sciences Innovation. The sales and implementation team for the product is to be based in Adelaide, Australia, which is where national reseller partner, Blue Crystal, is also located. “Whether in business, research or in our personal lives, we generate thousands of images every day and every image has its associated data,” Conway said. “There can be no doubt that storage has become cheaper and more efficient over time, but how do we find them again, let alone generate any meaningful information from it? Zegami turns this concept on its head. Ad tech player, Integral Ad Science, has partnered with Facebook to deliver third-party viewability measurement to advertisers. Under the arrangement, Integral’s viewability solution will be optimised to support video and display campaigns running on Facebook on both desktop and mobile platforms. This is aimed at giving advertisers access to accurate metrics for their Facebook campaigns. Additionally, Integral clients will be able to analyse the quality of the media across their entire campaign. Behavioural marketing solutions company, SaleCycle, has brought on Chris Brinkworth as its chief revenue officer of the Asia-Pacific region as part of expansion plans. Based in Sydney, Brinkworth will be responsible for leading the group’s strategic growth and developing service teams regionally. The company’s offering aims to help organisations improve Web conversion by better engaging website visitors and preventing things like cart abandonment online and from sign-up forms. Clients include Sunglass Hut, Lorna Jane and Chemist Warehouse. Email marketing vendor, AWeber, has launch a new mobile app that allows users to handpick content from across the Web and automatically format it into an email newsletter from their mobile device. Curate is going to available for free on for Android and Apple phones and is aimed at helping small business owners and entrepreneurs to put together formatted email newsletters directly from Web browsing. “The curation of content is rapidly growing in popularity amongst marketers and it’s perfectly suited for AWeber’s customers who are largely solopreneurs with limited time,” said AWeber UX designer, Grace Stoeckle. Captiv8 has raised US$2 million in a new investment funding round for its artificial intelligence-powered influence marketplace. The funding round was supported by Launch Fund, Liquid 2 Ventures, Lone Wolk and others. The cash injection will be used to enhance capabilities across the marketplace, which enables brands to discover and partner with brand advocates on digital media. App-based mobile audience platform provider, PushSpring, has partnered with MediaMath to make its proprietary, mobile app data actionable on the latter’s Demand Side Platforms (DSPs). The MediaMath partnership comes off the back of recent partnerships PushSpring has struck with LiveRamp, Google’s DoubleClick, Lotame and Centro.